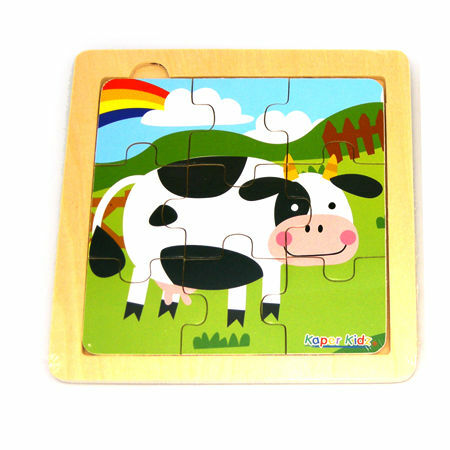 Simple Nine Piece Cow Puzzle is a lovely nine piece puzzle for little children. With smooth edges and no small pieces this is an ideal first puzzle for little ones over 2 years. The nine pieces fit into a tray. This happy smiling cow is standing in a green field with a lovely rainbow overhead. Size: 15cm x 15cm . We like this because: "Great simple puzzle but challenging enough to be interesting."